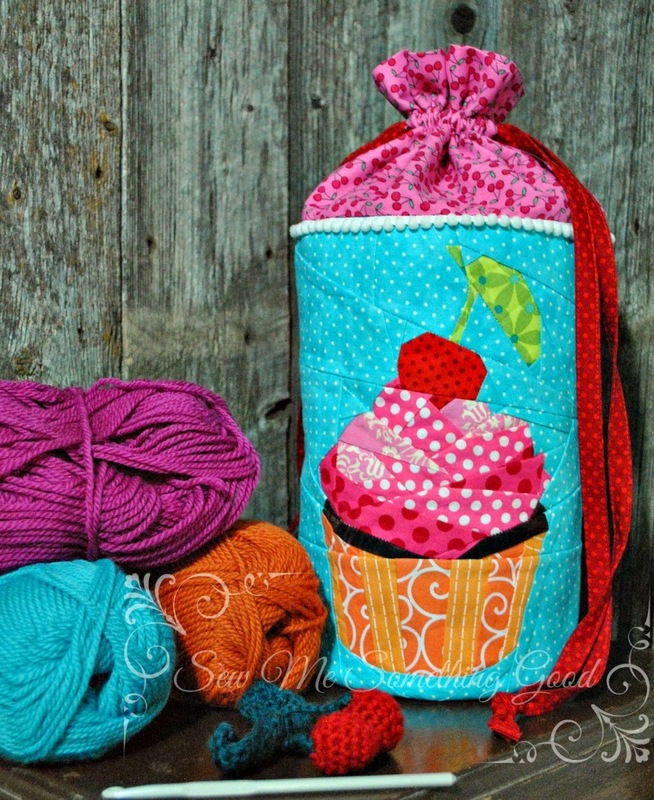 With a Cherry on Top the drawstring bag I made using Joanna's paper piecing Cupcake pattern. Robin's Patchwork (a prize from the Last Minute Christmas Sampler QAL for my Festive Trees Runner). Festive Trees runner made using Julianna's Christmas Trees blocks. Many, many thanks to each of these shops for being sponsors! It was so exciting to receive such pretty fabric prizes from afar and such a treat. Just like that and the first month of a new year is finished. A month I spent away from blogging but sewing for all three of my guys - from fleece hats and slippers; to cozy hoodies, T-shirts and flannel lounge pants. Not one bit of quilting or patchwork of any kind for the whole month. Pink + Red = a favourite colour combo and extra yummy in flannel! Pretty pleased with the buttonholes made using my vintage Singer 15-91. 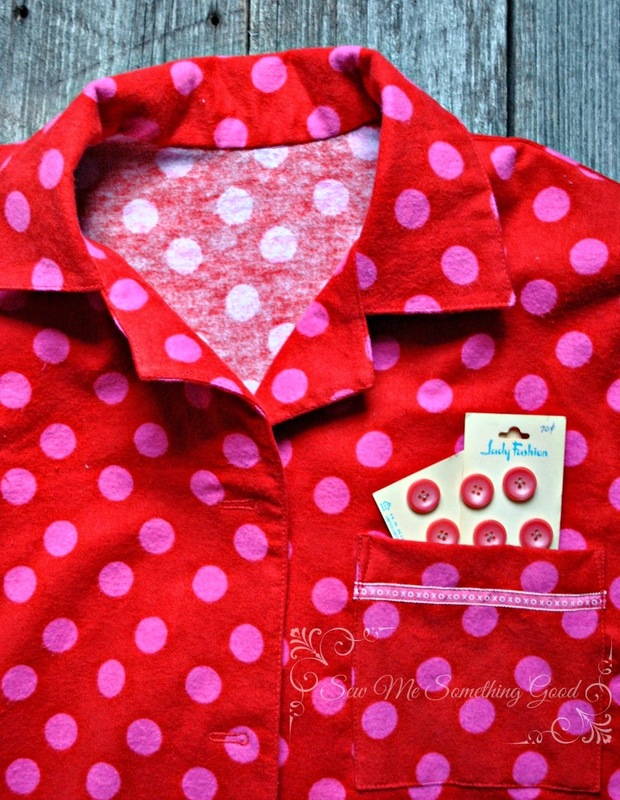 Love that bit of ribbon for the pajama shirt pocket and that I had the perfect vintage buttons to finish the front. With my whole month spent not blogging... I missed sharing with you a really special handmade gift. 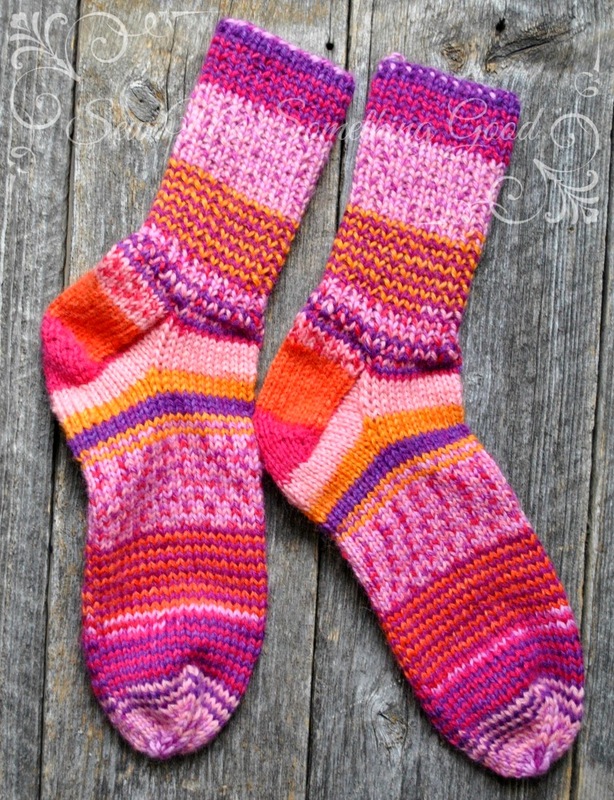 Imagine my surprise and delight to receive these gorgeous handknit socks from my generous and talented friend, Maria, better known as Maja from Maja's Paradise (she also tucked in some fabric goodness as a part of her gift to me, but these socks are the show stopper!). 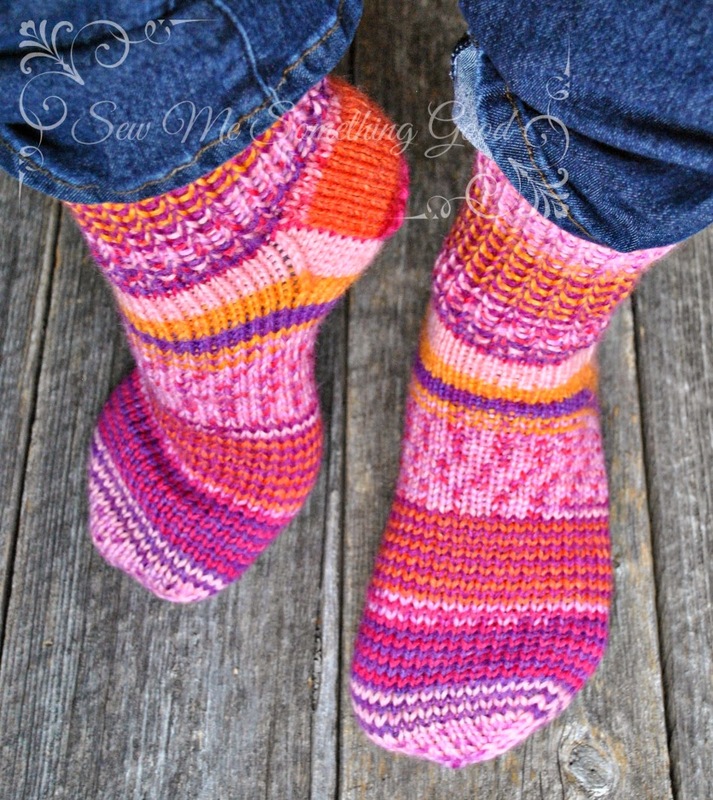 I absolutely love handknit socks and these are so warm and cozy. I'm totally smitten with the colours of the yarn she chose too (she knows me so well!). Thanks sweet friend! 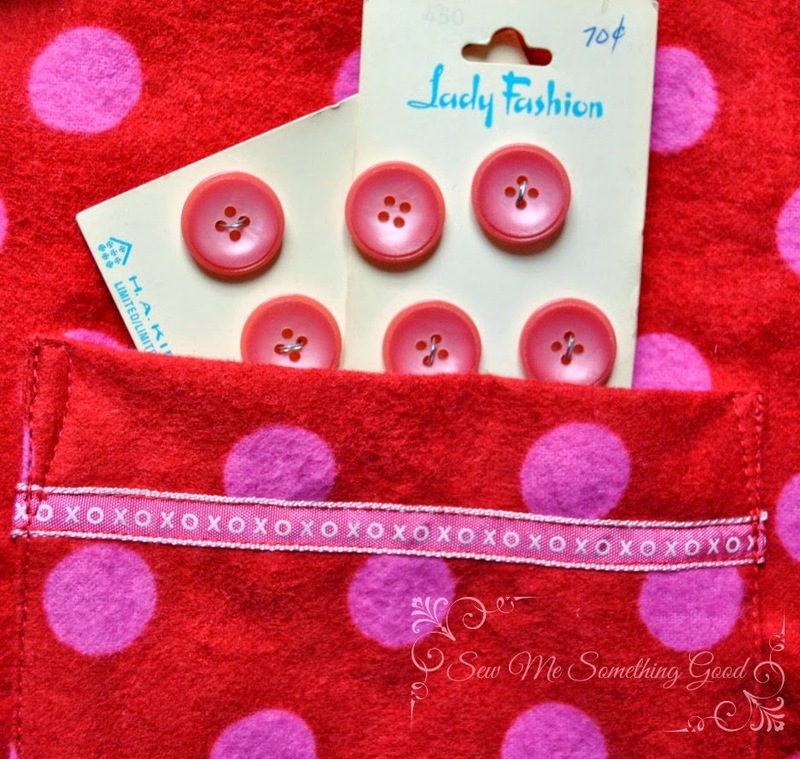 All that winter clothing sewing is nearly at an end. I love the fleece hoodie I made for myself so much that I'm wanting to make another. ;o) Looks like my serger will keep busy a little while more, but don't worry, I've also got some quilting projects in the works. generously offering all my readers a discount of 20% off your first order using the code: SewMeSomethingGood2015 at checkout.